Campo Dei Fiori Food Market - This traditional Italian marketplace is certainly not the place to shop for cheap souvenirs. The market is renowned for its high quality produce and there is a price to pay to acquire these goods. The price is well worth paying however if you are a fan of top of the range food products, especially bread. The market has a reputation for offering the best bread in the area. Rome has over the millennia of its history, leaving to posterity a special sign of passing time: a thousand fountains, a thousand squares that recall the style and art of an amazing city like Rome. The Fountains have always been filled with wonder travelers, such as the English poet Percy B. Shelley, who wrote that "the fountains are sufficient to justify a trip to Rome." From the Renaissance to the Enlightenment, many architects wrestled with this particular form of sculpture. One of the nicest is the one made by the master John Fontana, made between 1608 and 1612, commissioned by Pope Paul V and that is the great and monumental exhibition of the Acqua Paola. Once with five small basins, was later restored in 1690 by yet another fountain, which endowed it with one big tub, and much more spectacular effect. Easter, the holiday surrounding Christ's death and resurrection, is celebrated in Christian communities across the world. However, not everyone celebrates in exactly the same way. Different countries have evolved very different Easter traditions, from decorating eggs to flying kites and reading mystery books. In many countries, Easter has also become more secular, creating the traditions of Easter breaks during the school year and chocolate rabbits for children. Here are five Easter traditions from around the world. In Bermuda, people traditionally fly kites for Easter. This practise is said to have begun when a British teacher had trouble explaining Christ's Ascension to a church class so he made a cross-shaped kite to help illustrate the event to his students. Now people make colourful paper kites with long tails for Good Friday every year. Most of these kites are hexagonal, with wheel-like spokes, instead of cross-shaped, while some are octagonal in shape. Several Bermuda kites hold the world record for length and height of flight. Gubbio is one of the most beautiful cities in Umbria. It is also a perennial favorite with our guests. This city is located on the lower slope of Mount Ingino, a small mountain in the Apennine Mountain chain. Gubbio is about a thirty minute drive from our home base in Pietralunga, in the northeast corner of the region of Umbria. Very ancient, the city was inhabited prior to the Romans by the Umbrian peoples, the first tribe to inhabit the Italian peninsula. Even today, the majority of houses in the city center are 14th and 15th century and the streets wind this way and that-perfect for an adventure of exploring. 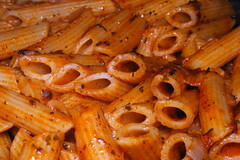 Image via WikipediaA country of pasta and wine, sunshine and snow, renaissance palaces and roman ruins, Italy is as beautiful as it is complex, making this region of Italy so popular for people to come and have a self catering holiday here in a rental villa or a rustic rural house. Lombardy is an Italian region which occupies a major part of Po Valley. Orobic Alps, Rhaetian and Lepontine form its northern borders and it has a hilly district having major Italian lakes from lakes of Iseo, Como and Varese to Easter slopes of the Lago Maggiore. This area is rich in water mainly because of Po and the affluents. The capital of the region is Milan and the major cities are Brescia, Bergamo, Varese, Mantua, Pavia, Cremona, Sondrio and Como. The first thing you can do in Lombardy is to view its Romanesque architecture. Each major city of Lombardy has beautiful examples of this type of architecture and the most stunning monument from the Gothic period remains the Cathedral of Milan. Image via WikipediaThe southern Italian region of Basilicata borders on Campania to the west, Puglia (Apulia) to the east, and Calabria to the south, and has a short coastline on the Tyrrhenian Sea and another on the Gulf of Taranto in the Ionian Sea to the southeast. While it’s not the first place you might think of for a holiday in Italy, the region has a special charm that is slowly being discovered by visitors who are keen to get away from the more touristy parts of Italy. Basilicata offers stunning arid mountain scenery and inland villages, perched on the hills, where time seems to have stood still. On the coast there are charming villages and seaside resorts such as Lido di Metaponto, with its archaeological relics, Marina di Pisticci, Lido di Scanzano, and Lido di Policoro. Remains of the Roman Era can be seen in Venosa along with medieval art. Basilicata is divided into two provinces: Potenza and Matera. Image by ryarwood via FlickrHow to Understand Best the <a class="zem_slink" href="http://en.wikipedia.org/wiki/Seven_hills_of_Rome" title="Seven hills of Rome" rel="wikipedia">Seven Hills of Rome</a>? 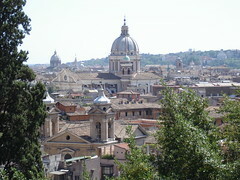 The Seven Hills of Rome are the foundation on which the ancient city is built upon. 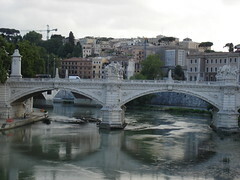 These include the Palatine, Esquiline Aventine, Viminal, Caelian, Capitoline and Quirinal. While they all play an important part, it is ideal to note that the original traditions of the city were founded by Romulus and this was on Palentine. History and tradition states that they were not a city in the beginning but rather as small settlements. It was later on when religious games were organized by occupants of these regions that they start to bond together.